It's about keeping what you have from those who want it. Unknown Armies presents magick as it might exist in a world informed by crime fiction and secret histories, as twisting wrinkles in reality created by greater and greater risk, sacrifice, and obsession. Unknown Armies asks, what would you risk to change the world? Your friends? Your family? Your health? Your sanity? Magick finds a way to ask the very most from you, until you achieve what you want or you are left with nothing. It's about kicking them when they're down, then cheering when they get up. 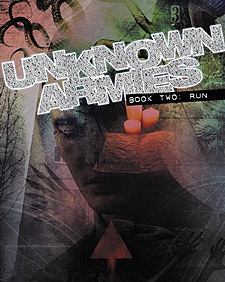 Created by Greg Stolze and John Tynes, Unknown Armies presents an entirely original yet disturbingly familiar approach to mystery, horror, and action in roleplaying games.